I planned to take care of my scarf collection for this week's project. I didn't address my heavy winter scarves because I plan to tackle my winter accessories in a different post. 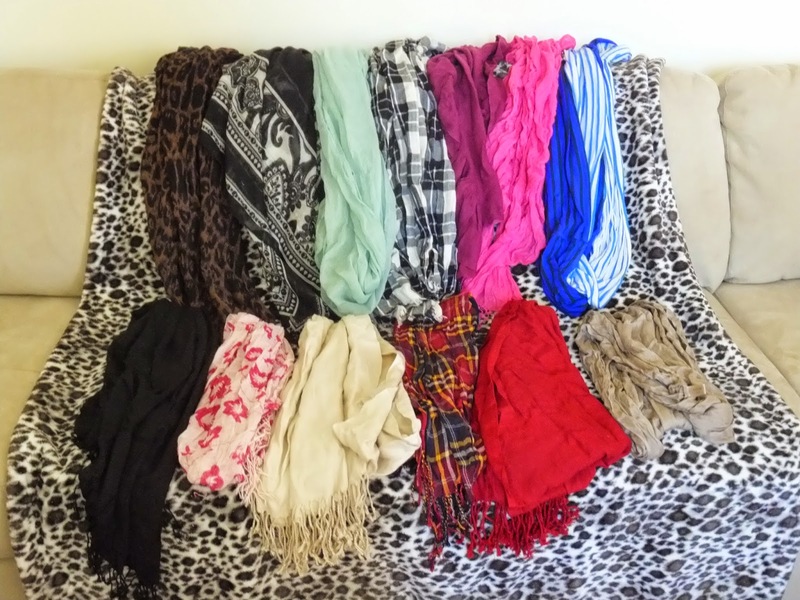 I like to wear scarves, but I inevitably end up only wearing a select few. I brought out all of my scarves and kept only the scarves that I wear regularly and look nice on me. 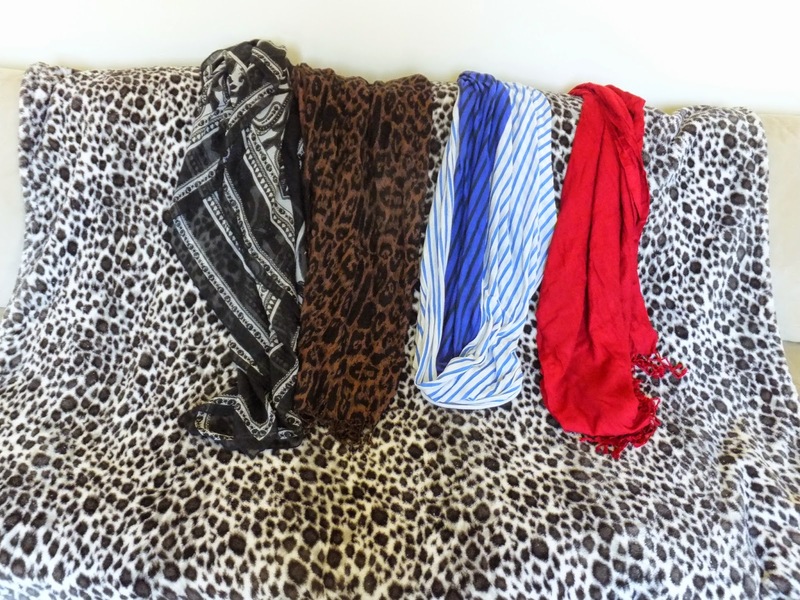 A few of the scarves in this group double as winter scarves on warmer winter days or dressier occasions. The sort of purple/pink scarf in the first photo is actually a winter scarf, so it is in the winter collection. I do want to purchase another scarf for the Fall season. The scarves that didn't make the cut were either too heavy for my short frame or the wrong colour. Seafoam green doesn't exactly flatter my skin tone (super fair)! I will pay more attention to the weight and colour of any future purchases so I don't buy something that just sits in the closet. High Five For Friday! Better Late Than Never! High Five For Friday- Birthday Edition!